Christopher Columbus Keech came to Sandusky from Batavia, New York in 1847. He was trained as a hatter and established a hat store on the south side of Water Street east of Columbus Avenue. Keech advertised in the 1855 Sandusky Directory as a “wholesale and retail dealer in hats, caps, furs, buffalo robes, mittens, buckskin and woolen gloves.” He offered to pay in “greenbacks” for wool, sheep skins, raw furs, hides and calf skins. He became very successful and acquired extensive real estate holdings. Sometime in the 1860’s Keech built a four-story limestone building at the northwest corner of Hancock and East Water streets, now 231 E. Water St. He sold the building to Armour and Co. in 1889 at which point the top two floors were removed. Rush R. Sloane mentioned C.C.Keech as “an earnest friend of the line” (the Underground Railroad) and listed Keech as one of those who contributed funds to help defray the court costs and marshal fees associated with Sloane’s conviction for helping fugitive slaves in violation of the Fugitive Slave Act of 1850. 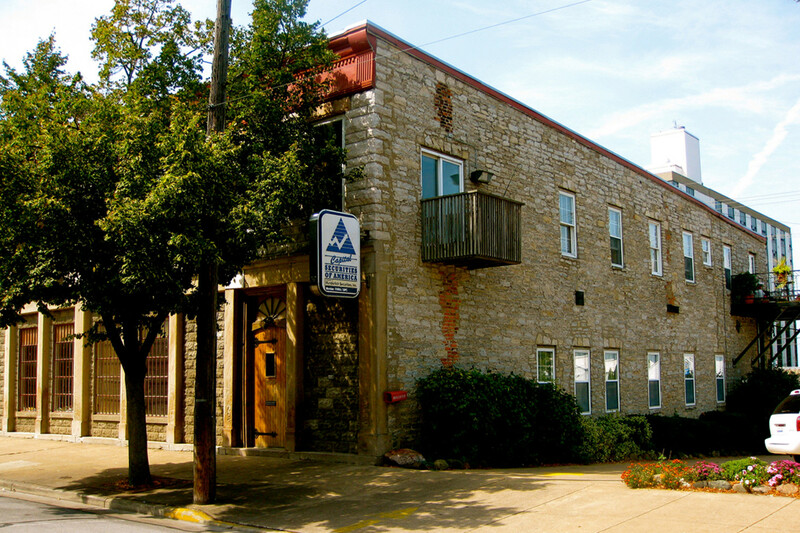 We do not know the details regarding Keech’s role in the Underground Railroad, or if fugitives were ever sheltered in this building, but C.C. 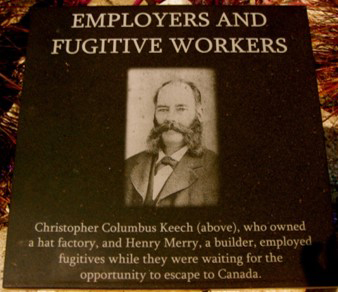 Keech deserves recognition for his role in aiding fugitive slaves and for his contributions to the early history of Sandusky.